Haruka, consulted by a friend who ran into a ghost at school, goes to the Movie Research Circle to see a man with mysterious powers. However, the person who meets her there is an affected young man with terrible bed hair and sleepy eyes. What does Haruka consult him about? 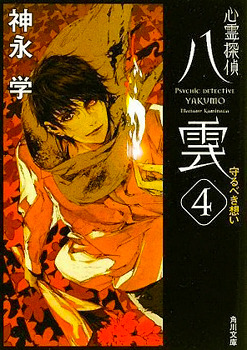 A confinement and murder case at a women’s university, a false suicide case… The great detective who can see the spirits of the dead, Saitou Yakumo, takes these cases on in this astoundingly high-speed spiritual mystery!